Spearhead backs founders with a $200K fund to start angel investing. Founders also receive mentorship, including monthly masterclasses from top investors. As they progress, founders receive up to $1M to invest. Founders already help new companies with startup experience and technical advice. ‍‍‍Now they can also help with capital. This lets startups raise money from some of their most helpful advisors. It compensates founders for their time. And it creates more high-quality opportunities for downstream VCs. Up to $1M to invest in early-stage startups. Founding investor in AngelList, Carbon Black,‍‍‍ and Hopp‍‍‍er. Founder of Veracode, Accomplice, and Maiden Lane. Angel investor in Uber, Yammer, Twitter,‍‍‍ and over 100 other startups. Early-stage investor in B2B and infrastructure. Enterprise sales leader at Oracle and Cloudera. Active angel investor. Started Angel Funds at AngelList.  Today we’re announcing Spearhead, a program to fund and mentor new angel investors. Spearhead backs founders with a $200K fund so they can start angel investing. Monetize the advice you’re already giving and put new startups into business. The returns may be better than your own company's. Advice and masterclasses from top investors and the Spearhead team. A network of top founders in each cohort. ‍‍‍‍‍‍Say no to sec‍‍‍ondary offers to buy your investments unless you can return your fund for a small piece of the stock. Today, we start accepting applications for Spearhead 2, a program that gives startup founders their own fund, so they can start angel investing. Co-founder of After School and angel investor.